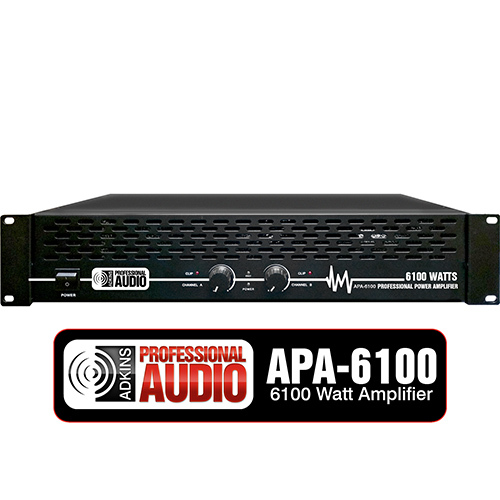 This rack-mountable professional power amplifier packs a huge punch with 6100 watts of maximum power. 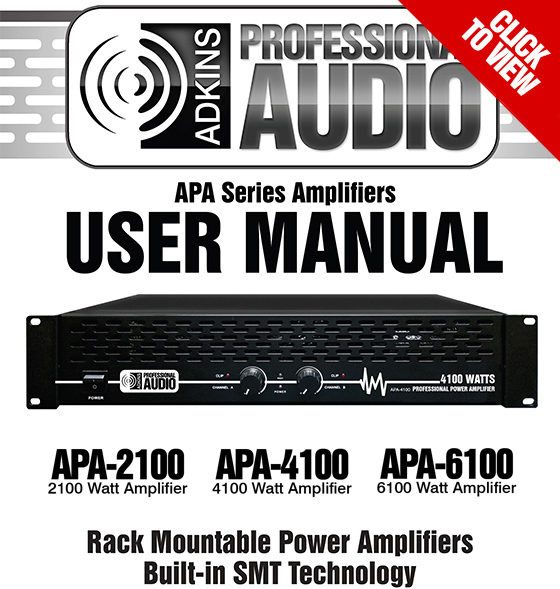 This amplifier is equipped with dual 1/4in and RCA inputs as well as dual speakon, 1/4in, and banana plug outputs. The dual output level controls allow you to tweak your levels to your exact specifications. The soft start limiter prevents turn-on damage to your speakers. It's all powered by a high quality ring transformer that eliminates transients and maximizes sound quality. Run in stereo, or bridge with another amplifier for even more power.